The 2019 Six Nations Rugby Union Tournament kicks off on the first weekend of February, with a heavy weight of expectation on the teams and their managers. Ireland, 2018 winners, are favourites going into the first round of matches but with the scoreboard wiped clear, it’s really all up for grabs. The highs and lows of last year’s tournament have eased, and fans are promised another exciting series of matches this season. A carousel of fixtures will bring matches to Cardiff, Dublin, Edinburgh, London, Paris and Rome as the national teams play each other as they strive to be crowned 2019 champions. For the individual players, this Six Nations offers the opportunity to show off their skills and boost their selection chances for the Rugby World Cup, in Japan, from September. This means that there’s more than just national pride and glory to play for in the next two months of Six Nations rugby. Even though the tournament spans a relatively short (yet intensive!) period, there are plenty of lessons the business world - and in particular the sales org - can take from it. In today’s blog, we look at the 6 key learnings we can take from The Six Nations. The average rugby player runs about 7 or 8 kilometres during an 80 minutes match, requiring a serious level of fitness. The national squads take time away to train together in advance of the tournament, boosting their fitness and building a sense of trust and shared belief in their ability to win. In a sales environment it’s also important to be match fit. This requires effective preparation and a focused approach to work. Plan out the day ahead, prepare for meetings, and set an outline to get everything done. Minimise time wasting by batching tasks together, and not moving on until everything in the current grouping is completed. Rugby is a physical, fast game with brutal tackles. The players take a huge level of knocks during the course of a game, but they’re always ready for the blows they endure. Unless they are seriously injured, the players pick themselves up, often with the help of the support team, and launch straight back into the fray. Each game has winners and losers – and losing a match in the six nations pushes the Grand Slam prize – winning each of the five games – out of reach. Regardless of the results, each of the teams has to find the strength and motivation to win their next match. Sales reps can have a day of small victories, but they’ll be followed up, at some point, with a series of blows. It can be hard to recover from the lows, but it’s important to review them, identify key learnings and implement necessary changes to recover and get back on winning form. Open communication, effective coaching and regular training can help give reps the support and guidance to push forward to the next deal. The six nations represented in the tournament are comprised of world-class rugby teams who together deliver a perfectly executed group performance. 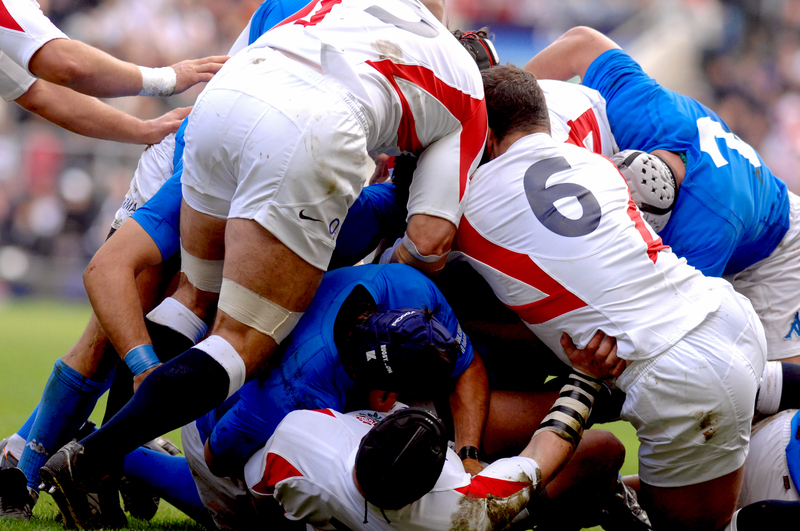 Rugby players can’t perform in isolation and need the collaboration of their team mates to secure points on the pitch. They rely on their team for support, and to identify new opportunities and gaps in the opposition’s defence. Likewise, sales leaders should not underestimate the power of building a cohesive team. By implementing regular team meetings and encouraging feedback from reps this helps to identify opportunities and nurture an open, supportive and motivated group of salespeople. Each of the six nations teams will have a carefully selected squad going into the tournament, and every one of those sportsmen will grasp the opportunity to play in a match. When they’re on the pitch, each player makes their presence felt. They’re not just there to make up the numbers – there’s national pride and a chance to qualify for the World Cup team at stake. Sales teams need to ensure they are maximising their productivity each day. According to CSO Insights salespeople are spending just 35.9% of their time selling, with the rest of their week consumed by other tasks. It’s important to ensure reps are spending their time wisely and making the most of the opportunities they get to excel in their field. Only the top salespeople qualify for sales club and the kudos that goes with it. A rugby team comprises the players, reserves and the coaching and medical teams. Each individual knows their strengths and weaknesses and can identify where they fit into the process. All the players know exactly what they need to do to when they line up for a match. The smooth movement of all the parts are what brings results. A powerful sales team comprises a variety of styles and personas and each member can work to their strengths. A team of individually powerful players – whether in business or sport – combined to support each other with their respective strengths, can be unbeatable. Eddie Jones, the England manager, recently admitted to spying on his competition in a previous role as manager of the Australian national team. His methods may not be the most ethical approach, but the rationale is valid. All managers will research their opponents and secure valuable insight to their technique to build their own game plan to drive success. It’s important to understand the competitive landscape in a sales environment and that all team members can play a role in building a battle card to help level the playing field. Undeniably, the selling arena is becoming increasingly complex. 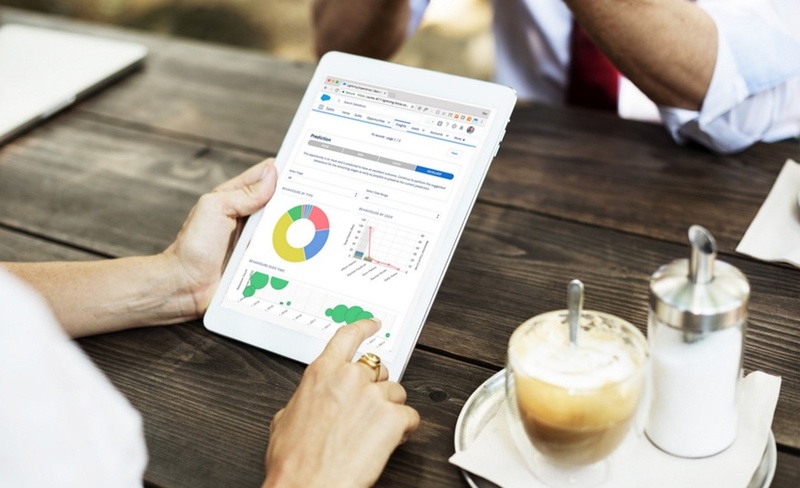 Although supported by advances in technology and wider availability of high-quality consumer data, sales teams have to face the difficulties of selling to a solution-focused customer, in an extremely competitive playing field. As leaders of the modern sales team, it’s important to support your team effectively, and set them up to win. Provide them with the appropriate tools, training and materials necessary to drive forward and strive for success. They’ll pick up some knocks en route, but they’ll learn on the journey, and should enjoy the results! Buyers are said to be 60% through their decision-making process before ever talking to a sales rep. So, are we really arming our team with the necessary tools to service such a clued-up buyer?